Even Goldman Sachs, a company with a proven track record of shared leadership that began with the co-stewardship of John Whitehead and John Weinberg more than 20 years ago, recently faltered with the structure. Last month’s announcement that co-CEO Jon Corzine would be stepping aside had industry insiders speculating about a power struggle inside the 120year-old partnership, which is poised to go public this summer. Historically, the co-CEO structure clearly has a dubious track record. Yet companies continue to tinker with the concept. 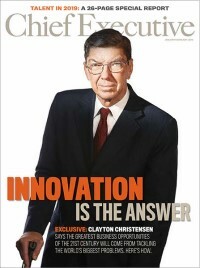 The past year alone brought the announcement of a number of high-profile power sharing structures, including co-CEO roles for Citigroup’s John Reed and Sandy Weill, Monsanto and American Home Products’ Robert Shapiro and John Stafford, GTE and Bell Atlantic’s Ivan Seidenberg and Charles Lee, and Charles Schwab’s Charles Schwab and David Pottruck. With prospects of success so grim, why so many attempts to breed a healthy two-headed behemoth? For one thing, the concept looks good on paper. In theory, sharing the CEO chair should leave both leaders sitting pretty, blending complementary skill sets and experience and easing the strain of overwhelming responsibility. In practice, it’s not that simple. As critics of the dual CEO structure are quick to point out, failures outnumber success stories by far. Yet, while far from common, co-CEO structures are in place and holding steady at a handful of firms, including Ralston Purina, IT company Sapient, packaging firm ACX Coors, and entertainment retailer J&R Music World. What makes the concept viable for some and a recipe for disaster for others?